Following BMW’s presentation of the Vision Next 100 concept car at the Geneva Motor Show in March 2016, Rolls Royce, a member of the BMW Group, rolled out a concept car celebrating Centennial Rolls Royce Vision as announced by the Group Next 100.Different from the BMW Vision Next 100 is the four-door caravan configuration, Rolls Royce instead is a two-door Coupe models. In particular, the large wheel cover located in front of the body of the car, deliberately using a square, coupled with Rolls Royce’s unique Greek temple Columns water tank cover, showing Rolls Royce’s existing king of temperament. 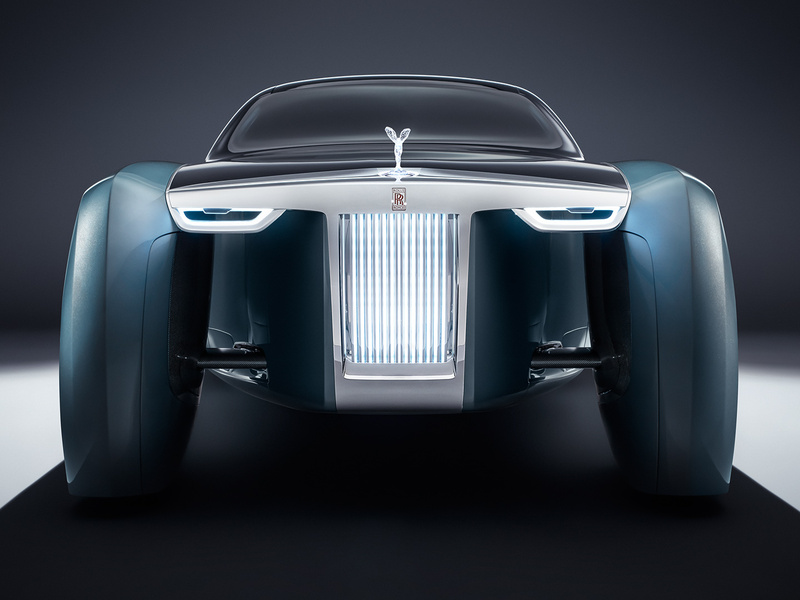 In addition, the Rolls Royce Vision Next 100 full body car is made of lightweight carbon fiber material to create, driven by a set of two 250Kw electric motor to drive a motor in front of a set in the maximum output of up to 500kW, used to drive four 28-inch large racing tires. 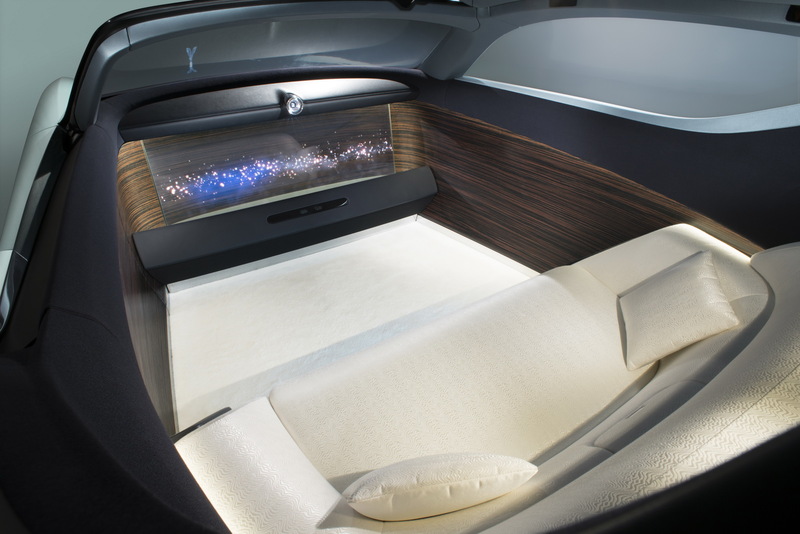 Other Rolls Royce Vision Next 100 specifications, including the captain 5,900mm, although the wheelbase shorter than the Phantom long axis 184mm, but in its compartment, the installation of two similar sofa seats. Passengers ride inside, in addition to feel more than 2,500mm long engine hood brought yacht control atmosphere, the front of the front stands for Rolls Royce logo Flying Goddess, hand-engraved and made of top crystal, and through the LED to light, Highlighting the car with its own car different from the extraordinary temperament. It is understood that for the entire self-driving control, Rolls Royce designed the car’s Eleanor virtual artificial intelligence assistant. Passengers in the car can command Eleanor to take control of the vehicle to the place they need to go, or use Eleanor’s artificial intelligence to remind the owner not to miss the meeting or even to drive the car to the front of the residence for departure. Rolls Royce pointed out that Rolls Royce Vision Next 100, is expected to be officially on the road in 2040.